Hi friends! When I first started writing tips to help people get the most out of their planners, I didn’t realize how popular the topic would be. When I first got into planning, there wasn’t a lot of information out there. It took forever for me to research how to use and decorate my planner. So I’ve been writing posts and making videos to pull together what I’ve learned. My hope is to spare others from having to spend so long trying to get simple answers like I did. These planner posts have been viewed hundreds of thousands of times. Hopefully, they’re helping others find the answers they need. While I have a few planner-specific pages (here’s my main Planner page), I realized there wasn’t something to help guide new planners on how to get started. So, I made a new page for this. 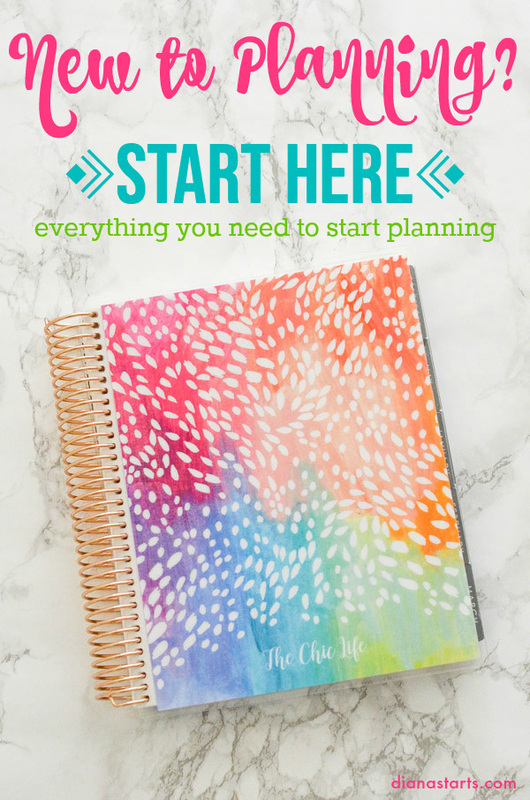 Here’s my new Start Here page for planner beginners. The goal of this page is to provide all the information someone new to planning would need to get started. Questions? Let me know in a comment. I may even write a blog post or make a new video to answer it!